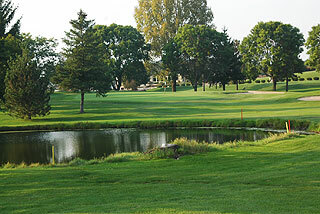 Evergreen Country Club in Elkhorn has a long and rich tradition in Wisconsin golf as one of the state's premier places to play, a club dedicated to giving you gracious and friendly professional service along with excellent conditions and value. 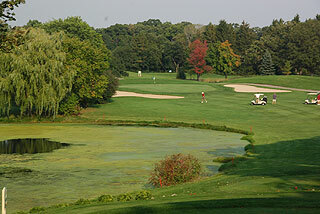 The course is ranked as a four-star Golf Digest course and a consistent Geneva Lakes Area favorite. On course sprinkler heads and 150 yard posts are measured to the center of the green, along with yardage markers at 100, 150, and 200 yards on cart paths and fairways. . Water comes into play on 17 holes and 57 bunkers surround the fairways and greens. 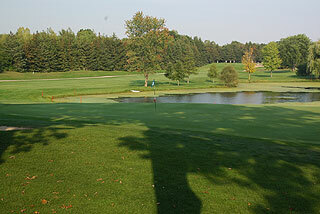 Twenty-seven championship holes at Evergreen Country Club are nestled into rolling terrain. 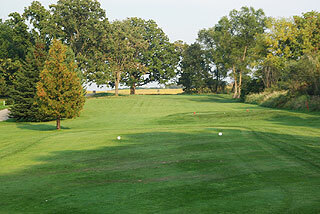 Golfers will find well-manicured, fair even surfaced fairways with mounds and hills off the sides, some tightly tree-lined, and some with room. 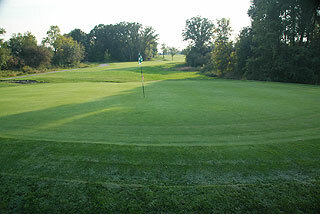 Large undulating greens with medium slope are well guarded by bunkering and in some cases water hazards. The clubhouse offers a well-stocked pro shop, a sports-oriented pub and bar area as well as an open-air patio overlooking the lush green landscape of the course, and the Bunker Grill, Bar & Que featuring slow-smoked barbecued meats along with a full array of cocktails served in a casual setting. Practice facilities include a large putting green to learn the pace and slope of the putting surfaces before a round of golf. There are 3 sets of tees that play to distances and slopes that range as follows: East/South measures from 5111 to 6537 yards, and slopes from 116 to 130. South/North measures from 5275 to 6541 yards slopes from 118 to 132. East/North measures from 5220 to 6306 and slopes from 117 to 128. 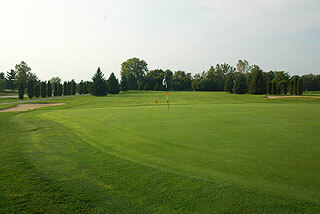 The unique layout appeals to golfers of all skill levels. For more information on Evergreen Country Club, visit our information page by clicking here.